Your district Google account can also be used to log into YouTube, which is actually part of Google. By signing in you have the ability to customize YouTube for yourself, subscribe to channels, create playlists, and upload your own videos to your own channel. There is often a misconception amongst ol- ...non-digital natives, that YouTube is just full of videos of kittens and viral videos that we certainly wouldn't include in our lesson plans. I'm not going to lie, those things are there. 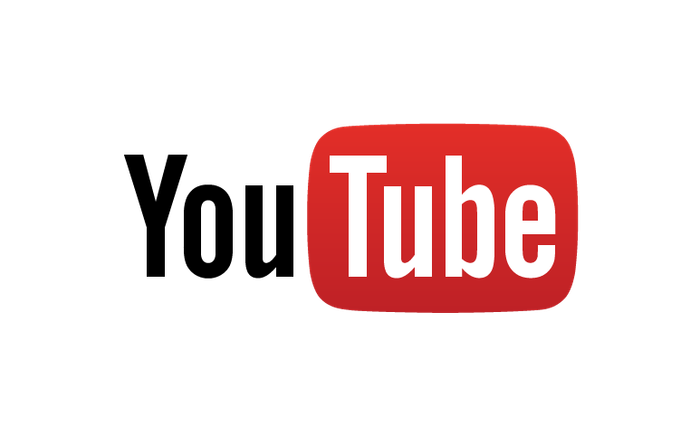 By the end of 2014, 300 hours of video were uploaded to YouTube every minute [source]. I'll let that sink in for a second. With that volume, obviously, there's a lot of garbage on YouTube. But, there's also some gold; videos that for us, as teachers, can be used to enhance our own knowledge and skills, or with our students to reinforce, enrich, and engage. In this issue we'll be covering the basics of channels, playlists, and creating your own videos. They call them channels because they are like term when applied to television. A channel is the collected videos uploaded by whichever individual or organization runs that particular account. Even though you may not (yet) have any of your own videos uploaded, you have a channel, because you have an account. When viewing a video, if you really like it and see potential uses, you might want to subscribe to that person's channel. The benefits of subscribing are that it makes it easy to keep track of video providers you particularly like, and also you'll see any new content from these channels on your YouTube home page without having to remember to seek them out. Watch the video below to find out how to customize your YouTube home page, find and subscribe to channels. So here are some channels to help get you started. If you log into your district Google account (@maloneschools.org) while looking at these, you'll be able to use the red "subscribe" button to add them to your channel list. Catlin Tucker - A high school ELA teacher in California, Catlin has also made a name for herself in the ed tech world for her use of blended learning in her classroom (mix of high and low tech based on device access, etc.). Her channel has videos ranging from Google tips to grammar. Many of her videos designed for student use are created with free add-ons (see below), and a microphone, proving you can do it too. Common Sense Education - Common Sense Media provides curriculum and supports for teaching digital literacy and citizenship to all ages. Edutopia - From the very popular site, these videos provide fantastic information on a wide range of pedagogical issues from classroom management to flipped/blended learning. TED Talks - There are definitely some of these that can and are used with students. But they're also a great source of information and inspiration for teachers. In education, probably the most famous, and worth the 20 minutes to watch, is Sir Ken Robinson's talk entitled "Do Schools Kill Creativity?" from the first recorded TED conference in 2006. YaleCourses - This is by no means the only higher ed. institute doing this, but I picked it as an example. With this channel you can actually sit through entire courses (or skip around in them) at Yale University. Click on "Playlists" on their channel's main page to see the courses that are available to watch. #Education - This is a channel maintained by Google. It contains curated videos from many different YouTube content providers divided into subjects/categories. American Museum of Natural History - The channel has some great videos for science in categories like "Shelf Life," which goes deeper into the museums collections, and "Kid Science." Big Think - The channel focuses on bringing thought provoking content to students from leading thinkers and innovators on topics ranging from science to philosophy. The Brain Scoop - This channel is a product of the Chicago Field Museum. You'll get behind-the-scenes videos from the museum as well as some from out in the field. Depending on the particular video, most are probably good for late elementary through secondary. Gross Science - Produced by NOVA and PBS, the name pretty much says it all. National Geographic - Most of the videos are short, under 5 minutes, very well-produced, and engaging. Check out their "TIL" series (stands for Today I Learned). At under 2 minutes, they make great lesson openers or closers. TED-Ed - Their standalone site is fantastic, and has their videos worked into full-fledged, interactive lessons. But sometimes you might just want the videos to work into your own lessons. HooplaKidzLab - These videos (most under 5 minutes long) show fun science experiments that usually can be replicated by students. MathAntics - This channel has several dozen videos that are about 10 minutes long explaining and illustrating various math concepts. Mother Goose Club - A good collection of songs and rhymes for the early grades. National Geographic Kids - You can find many of these videos through the main channel above, but this one makes it much easier to pinpoint elementary resources, and nicely categorizes them. Amor Sciendi - The product cultural history teacher James Earle, and some of his students, the channel uses works of art to illustrate math, science, and philosophy concepts. 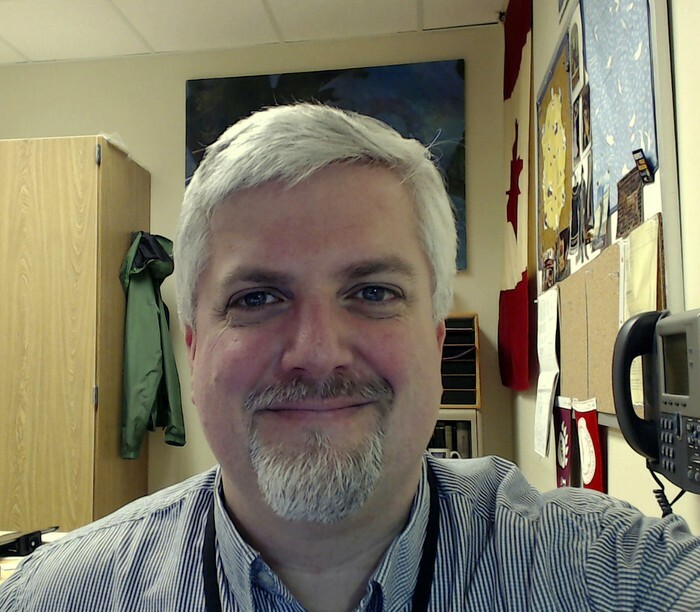 Bozeman Biology - Paul Andersen is a high school science teacher in Bozeman, Montana who was the state's teacher of the year in 2011. Despite the channel title, he actually has videos covering biology, chemistry, and physics. CrashCourse - The channel was begun by John Green, who before becoming a bestselling author (The Fault in our Stars, Paper Towns) was a, yes, you guessed it, social studies teacher. His earlier videos all focused on that content. More recently, other presenters have joined and they've branched out into science and psychology. 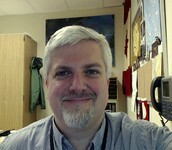 Hip Hughes - Keith Hughes is a social studies teacher who has produced excellent content videos for seven years now. The videos are great for showing to your students, but If you're looking to start making some of your own videos, this channel is a gold mine as you can get good production ideas by sampling his videos from the start and see how he's progressed. It's Okay To Be Smart - Another great channel produced by PBS, the host is Joe Hanson who sets out armed with a Ph.D. in science to show how amazing the universe is. Khan Academy - A staple from the start of the flipped classroom movement, the channel covers the whole range of subjects. They've branched out into subjects like history and art, but the math videos are where it all started. MrBettsClass - Another social studies teacher providing content for US history. The videos do a nice job of covering concepts, with a healthy dose of humor, often set to music. ProfRobBob - Math teachers: if you're looking for some videos to supplement your instruction, or provide students with independent help, take a look at this channel. Covering simple and complex math concepts and skills, some students will find his style more engaging and understandable than Khan Academy's videos. Just as you might on an music player, like an iPod, you can put together custom lists of any videos found on YouTube, your own or anyone else's. If you're doing a unit on a particular topic, for instance, you could put together a playlist of videos to use in instruction and/or supplement your lessons. You could then share this playlist with your students via a link, and let them use the videos on their own. One of the cool things that YouTube has recently added based on user requests is the ability to create collaborative playlists. There are some interesting and time-saving potential uses of the feature. For one, departments, grade level teams, or co-teachers could create a combined playlist to share favorite and successful YouTube resources on one list. The feature could also be used by students working together on projects. See the video below for an overview of creating and sharing playlists. Wait! Don't skip this section! Many of the teachers I talk to seem to think that putting a video of themselves on YouTube is not something they can or will ever do. There are a number of reasons for this, I think, ranging from the mistaken belief that it's way over their heads, to self-consciousness. The video below shows you just how easy it is to actually get your own video up on YouTube, and hopefully addresses the other concerns in the end as well. Project a video for the whole class as part of a lesson. Use video as enrichment for students who might be working through a topic/concept faster than the rest of class. Embed a video in a Google Classroom assignment in order to couple it with a writing assignment, quiz, etc. 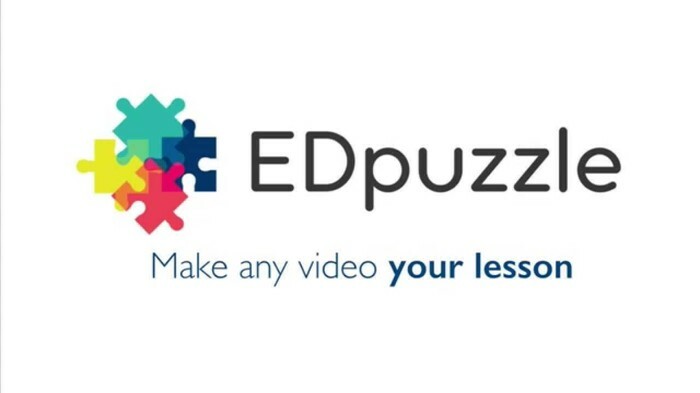 Use a third-party site, like EDpuzzle (see below), to turn a video into an interactive assignment. Use existing content videos to flip lessons. - This involves moving the traditional direct-instruction portion of a lesson outside of class with the video, and then using class time for practice and reinforcement activities that might normally have been homework, allowing for more 1-on-1 time with students. Create your own videos to flip lessons. Make videos to be used for extra help/intervention with struggling learners - for example, record yourself working through a particular type of math problem that your students are having a hard time with so they can watch the video again whenever they need the help. Record parts of regular class sessions for students who are out for extended periods. - This way they can still see the instruction and since you're taping a regular class period, it doesn't require much extra work on your part. Give students the opportunity to create content videos to demonstrate mastery. - If this is something you're interested in, let me know. There are some restrictions we need to be aware of in terms of student privacy that vary depending on age, but it can be done. Leave a single video or playlist of videos of yourself as instructions for your students and/or sub if you're going to be out. - Instead of having a sub try to relay to students what you're expecting them to do, let the sub just go to YouTube and project a short video of you telling them yourself. YouTube video to interactive assignment in no time. EDpuzzle is a free site in which you can take any YouTube video and add notes, questions, and writing prompts. You can then assign the video to students. You'll be able to see student progress on the assignment (time spent watching, etc. ), and it will even grade objective questions for you. For more, see the 2 Minute Tech Tip video here. Automate some of the formative assessment process. Super Quiz is a new add-on for Google Sheets. You can create a Google Form to use as a quiz with your students, which in turn automatically creates a spreadsheet to collect all of their answers. With this add-on, you can take the student responses and break the data out in a number of very useful ways, generate feedback reports for students and email them with the click of a button. If you're familiar with Flubaroo, another Sheets add-on, this one is similar, but has a few more bells and whistles. For more information, on getting and using Super Quiz, look here. You can use Desmos without creating an account or logging in, but if you do set one up, you can save all of your graphs and data to be used again later. You can either start completely from scratch, or you can load one of the pre-made graphs and then manipulate it how you like. A special thanks to Kitty Eldridge at the Middle School for bringing Desmos to my attention. Let's say you have three sections of the same course, and you have a handout you want to distribute to all of them via Google Drive. As you may know, you can right-click on a folder and share it and all of it's contents at once. My advice is to make sure you share the folder as "can view." You don't want a whole class/department/grade level necessarily being able to all edit your documents. So you have three folders, shared with three different classes, and you have a handout you want to share with them. You could simply make two copies of the handout and drag the three files into the three separate folders and be done with it. But, what if you realize you needed to change something in the handout or make some edits? Now you have to go into all three folders and change all three documents. It isn't advertised anywhere within Drive, but you can actually put a single file in multiple folders. The advantage is that you can now share the same file in the three folders, but if you needed to make a change, you only need to edit the document once. Being able to put a file in multiple places can also make it easier for you to find things. If you're like me, your Drive will end up as a labyrinth of folders and subfolders. I often have to stop and think about where I would have put a particular file. With this method, I can think about the logical places I would look for a file and put it in both to make it easier on myself down the road. So, here's how you actually do it. In Drive, click once on the file to select it, and the hold the Shift button and press Z. You'll see the dialog box pictured below, and you just need to tell Drive where else you want the file added.